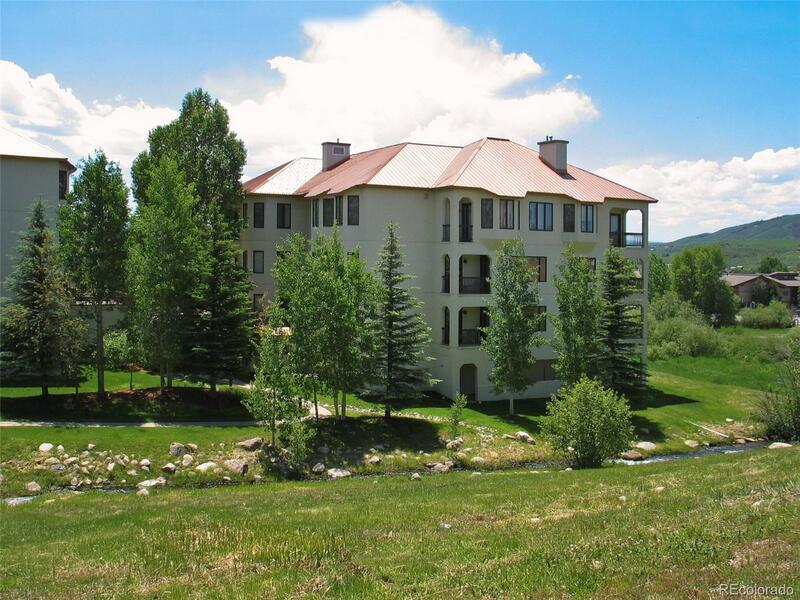 Enjoy this fantastic location, only minutes to the Steamboat Ski Resort, yet private and serene. This beautifully designed condo is all on one level. Perfect for buyers who do not want to climb stairs, just take the elevator. Enjoy a short walk to skiing and restaurants or take the free shuttle. Ride your bike in the summer months, and easily connect to the Core Trail. Listen to the babble of Burgess Creek, with that peaceful sound to relax to on the deck above the creek with views to the west and the mtn. The condo is spacious with 3 bedrooms/3 baths, along with ample storage. Two bedrooms have their own private bath, and one bedroom has access to the covered deck. Many improvements to the condo have been made including new Stainless Steel appliances along with furniture and bedding and washer/dryer in unit. Incredible amenities includes pool, hot tub, exercise room, and the HOA includes everything but the electricity and telephone. This condo is suitable for year-round living.